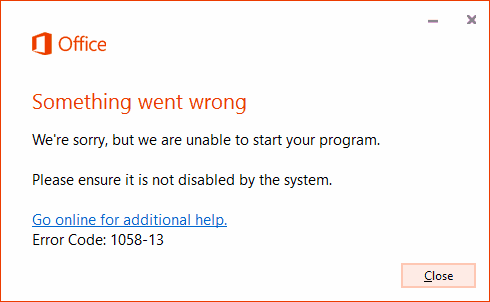 This problem usually occurs because the Microsoft Office ClickToRun Service is not enabled. To enable it again, try these steps. 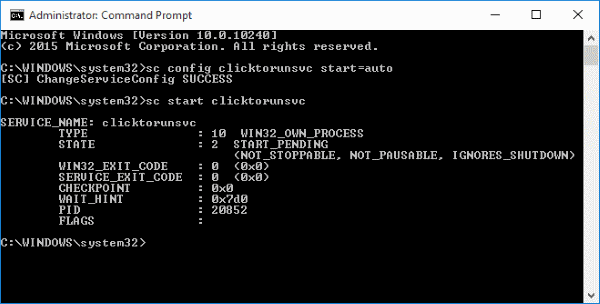 Select “Start“, then type “CMD“. Right click “Command Prompt” and choose “Run as Administrator“. Your output should look like this. Now try to start a Microsoft Office application or run an uninstall or repair as you originally intended. Hopefully, it works now. Running the command let me run the repair on MS Office – thank you! However, the repair did not resolve my problem. I can find Winword.exe in C:\Program Files\Microsoft Office 15\root\office15. It is there. Whether I double click, or right-click and choose Run as Admin, I still get the message that “Windows cannot find the program…..
Wow thank you so much. You saved me $99 which is how much the tech wanted to repair this issue. This is a milestone for me. Thank you. This worked well. Saved me a lot of aggravation. Thank you!!! It fixed it right away. Many thanks. Worked well and saved me from reinstalling office 2013. Genius! I couldn’t start Word or Excel and other post started me on the wrong direction this has saved me hours of work to fix. Perfect. It works. Thanks to guys like you Mitch life get’s easier ! Worked like a charm. Many thanks! It worked! And this from a complete non-techie, I have to say I suprised even myself!. Thank you! Thanks for the guidance, that’s fixed it for me. Your fix saved me hours! I thought I had lost all of my Outlook e-mails, which would have been a disaster… thank you for all the time you put into your website! Sadly this did not fix. A message told me that “This service cannot be started either because it is disabled or because it has no enabled devices associated with it”. Can you suggest anything else please? Bless you! I do my bills on Excel and thought I lost it all.